1 Looking to buy a Shoei? 13 Good Alternatives to the Shoei VFX-WR? 14 Looking to buy a Shoei? 15 Definitely want a Shoei? 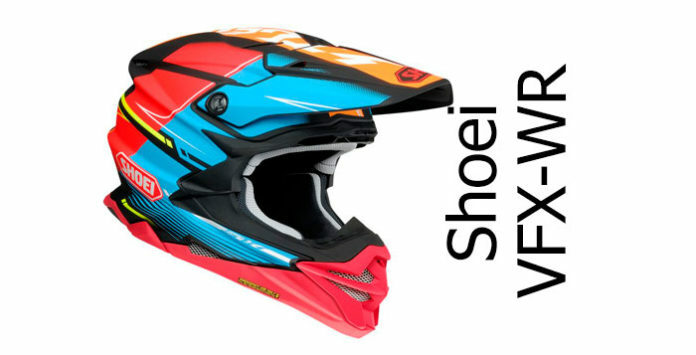 Review of the Shoei VFX-WR motocross helmet. It’s been a while since Shoei released a new motocross helmet. 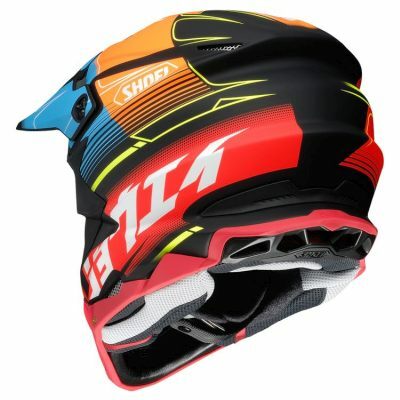 But their new VFX-WR (called VFX-EVO in the US) aims to take – in Shoei’s words – the motocross helmet to the next level. And when you look at the range of features, you can see why they’d say that. It uses Shoei’s advanced AIM+ shell construction tech we usually see in their hyper expensive race bike helmets. It’s got EQRS, it’s got a total of 16 intake and exhaust vents for improved ventilation; and it’s been wind-tunnel tested to make a modern looking and complex outer shell shape that Shoei hope will give it superior aerodynamic performance. Plus – and for the first time on a Shoei – it’s got a system designed to manage rotational forces encountered during an impact. Shoei calls their system motion energy distribution system. I’d guess that’s primarily so it gives them the eye catching acronym MEDS – but either way, it’s designed to allow the helmet a degree of independent movement from the rider and, again according to Shoei, reduces rotation by 15%. All of that stacks up to make the Shoei VFX-WR a mouthwatering prospect. 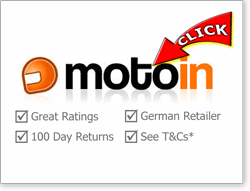 We recommend GetGeared (UK) for outstanding service and competitive prices with free delivery, or MotoIn (Ger) for a wide range and excellent € prices. 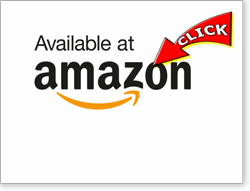 You might also like to click through to the Shoei helmets pages at Amazon UK or if you're in the US, Revzilla have amazing ratings, free delivery and a wide range of Shoeis in stock. Please click any link to drop onto their Shoei helmets pages or see here for info on our recommended stores. 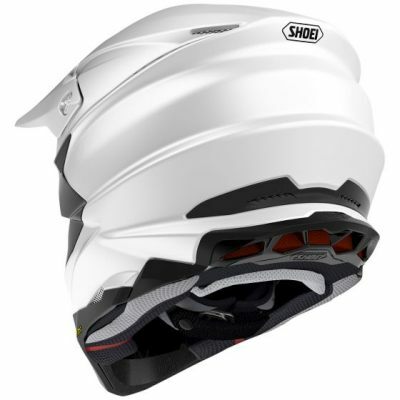 The Shoei VFX-WR uses Shoei’s Advanced Integrated Matrix Plus shell tech – or AIM+ for short. That’s the same multi-layered composite material that you find in their top-of-the range track helmet – the X-Spirit III – and in their outstanding sportsbike helmet the NXR. It uses fibreglass as its base material and Shoei then layers it up with a variety of other materials that Shoei calls organic fibres – designed to be lighter and more elastic to absorb energy. So far, we’ve seen both the X-Spirit III and NXR AIM+ helmets tested/approved by both the USA’s Snell Foundation and tested in the UK by SHARP. SHARP scored the X-Spirit III 5 stars for safety (their maximum score) and the NXR 4 stars. 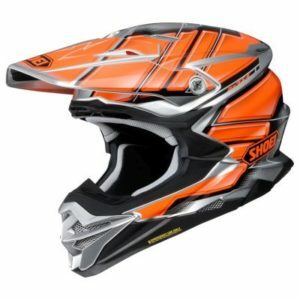 The VFX-WR has already been Snell M2015 certified (as the VFX-EVO) and if SHARP gets their hands on it, we’d expect it to score four or five stars for safety, just like the previously tested AIM+ helmets. Part of the reason for these excellent scores is because Shoei knows how to make a super-effective helmet shell. But it’s also because they use a multi-density EPS shock absorbing liner inside it which has been proven great at absorbing impact energy. Unusually (though it shouldn’t be!) Shoei also includes EPS in the chin bar which is a great idea which should give improved protection to the mouth and face too. And – for the first time on a Shoei – they include a liner that’s designed to offer some protection to the rider against rotational forces. 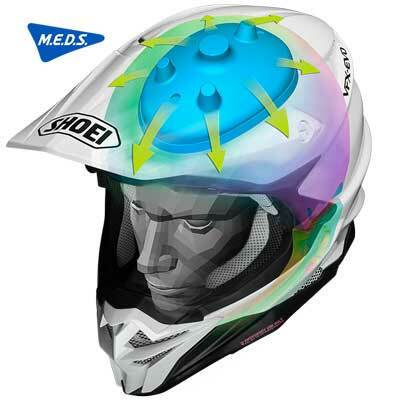 It’s Shoei’s version of the liner we’ve seen used by Bell and 6D among others – with their version called MEDS (motion energy distribution system). It’s essentially a skull cap that sits between your head and the EPS liner and allows the rest of the helmet to move semi-independently of the shock absorbing liner. The theory being if you allow the helmet to rotate freely in those important first milliseconds of an impact, it reduces the amount of rotational force passed through to your head. And while we don’t really have any independent verification of whether MEDS works yet, it certainly sounds like a step in the right direction. It doesn’t seem to give as much coverage inside the helmet as the competition, but I guess we’ll only see how well it performs if we see some of the Snell or SHARP test data. 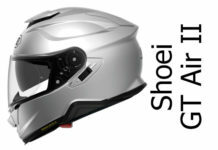 Back to the helmet shell, and Shoei makes the VFX-WR in 4 Shell sizes covering fitment sizes XS-XXL. That’s great for optimising the fit and weight of the helmet (both are important in safety) as well as making the helmet look just right and in proportion to your body size. Shoei’s also worked to maximise the size of the opening for the goggles. Usually, that’s great for safety because it gives loads of horizontal and vertical vision. But with the Shoei VFX-WR it’s maximised so you can wear oversized goggles which means your peripheral vision is going to be limited by whichever goggles you choose. Shoei’s also included EQRS on the VFX-WR. That’s the system that helps paramedics remove the cheekpads more easily and hence helps them remove the helmet on a downed rider with less chance of damaging their neck. If you take your dirt riding seriously (or your safety!) that’s gotta be near the top of your ‘must have’ list on any helmet you buy? And finally, the Shoei VFX-WR has a good, solid double-d ring fastener on it. So as long as you do it up nice and tight, that should keep the helmet firmly in place. One of the most important things any dirt bike rider needs is lots of ventilation. Spend a day off road and you’re going to sweat loads, right? Well Shoei seems to recognise this as there’s vents and exhausts scattered all over the VFX-WR. There’s a brow vent stretching right across the goggle port. There’s a couple of crown vents right above that taking air from the peak and into the helmet. And of course there’s that massive chin bar vent. That takes air around to the mouth as well as towards the face. And as you’d expect it’s removable, has an aluminum screen and contains a washable foam filter. There’s corresponding exhausts at the crown, top, lower and collar as well as on the side of the helmet too – all designed to provide a ton of ventilation throughout the helmet to keep you as fresh and cool as you can be when you’re riding off road. Just two things to say about the goggles. First – there’s a large eyeport up front, designed to take oversized goggles. And second, there’s a goggles groove right round the helmet to seat the strap and prevent it coming loose whatever you throw at it. All looks present and correct on the goggles front. The peak acts as a roost guard/sun visor and has been designed to be aerodynamic and reduce lift and buffeting. It also channels air direct towards those crown air vents. Out of the box, it’s in its highest position (apparently that’s where most pro riders like it set) but there’s some movement to lower it by loosening off a single central screw and sliding the visor down. Three polycarbonate screws hold the peak in place and are designed to shear off under impact – that peak could impart some nasty rotational damage if you have an off and it digs in, so that’s a good thing. Shoei say the visor’s been fine tuned by their pro off road racing team so fingers crossed it works well. Inside the Shoei VFX-WR you’ll find a full removable and washable liner. It’s made in two parts, the cheek pads and the cap. The cheek pads are made from contoured foam covered in a moisture wicking material Shoei calls Max-Dry. 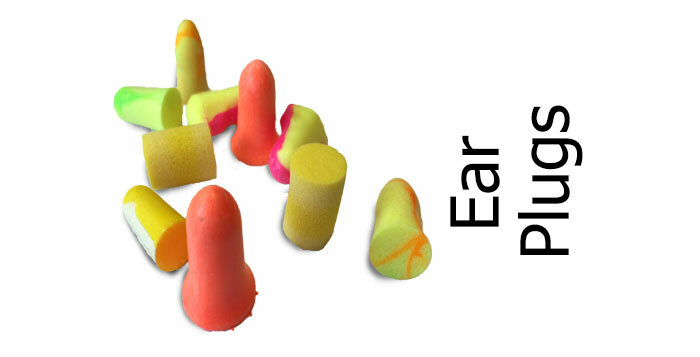 It’s designed to wick moisture away from the face and pull it into the foam. The VFX-WR is also EQRS enabled: you’ll see a couple of red tags at the bottom of the helmet that you can pull to quickly remove the cheek pads out of the bottom of the helmet. This is so emergency services can more easily remove the helmet without putting too much pressure on your head/neck. The fabrics that Shoei typically uses are some of the most comfortable around so we’d expect the VFX-WR to give excellent levels of comfort. As usual, if you buy a plain version, it’s going to be a good chunk cheaper than one with fancy graphics. Solid colours include gloss black and gloss white as well as a matt black version. At the time of writing, there’s 5 graphics including the Zinger, Glaive, Grant, Brayton and Blazon. There’s at least one of each on this page… but to see more, click through to our recommended stores below. 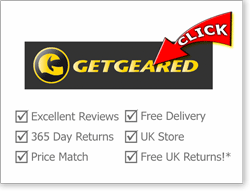 GetGeared are a recommended UK retailer with free delivery, a no-quibble 365 day returns policy (with free return postage) and with great online reviews scoring 4.8/5 on eKomi at the time of writing. Here’s an 8m video of the shot by some guys at the Australian Shoei distributor. 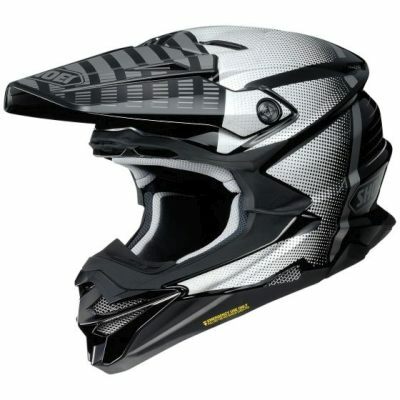 The VFX-WR isn’t a lightweight MX lid – but it’s not massively heavy either. The large version weighs about 3.6lbs (1.65Kg). That’s not enough to really feel heavy while you’re wearing it so you should find it OK. 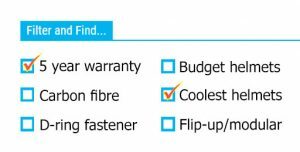 The good news is it’ll come with a five year warranty (7 years from date of manufacture) so there’s a decent bit of piece of mind if you buy one. The outgoing VFX-W was a great helmet that owners and riders loved. Which means the Shoei VFX-WR which used the W as its starting point, will hopefully be an even better helmet. Its got an improved chin bar and peak, a massive space for goggles and a ton of safety features thrown in, from its tried-and-tested AIM+ composite shell through to its new MEDS anti-rotation system and EQRS to quickly remove cheek pads after an accident. Basically, it pretty well checks all the safety boxes – which is important on a dirt bike lid, right? 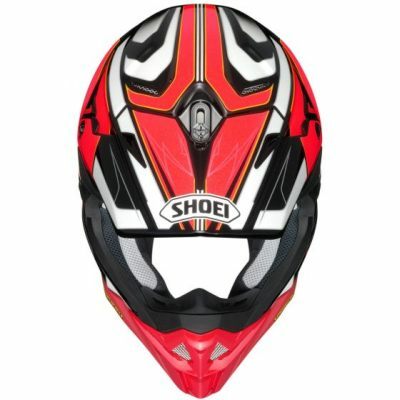 Plus Shoei are known for great build quality and using excellent materials throughout. Couple all that with the fact that the VFX-WR has been tried and tested by a bunch of pro dirt bike riders, and we’d expect the VFX-WR to be one of the most accomplished motocross lids out there. So if you can spare the cash, the the VFX-WR has gotta be worth a look. 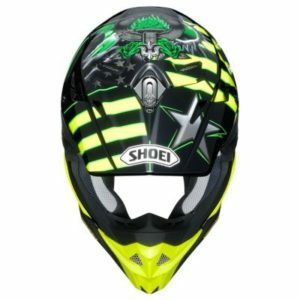 Good Alternatives to the Shoei VFX-WR? 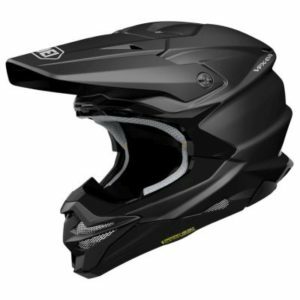 You should check out the Bell’s accomplished Moto-9 range – that’s another Snell rated motocross helmet, this time using Bell’s flex tech to reduce impact stresses. 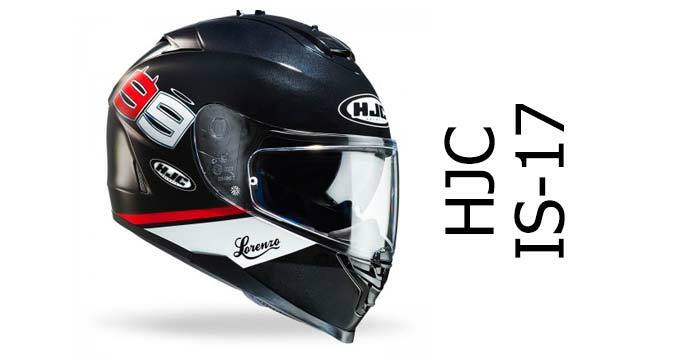 It’s tri-composite, got EQRS and it can be had for less than the Shoei. If you don’t need such a focused motocross helmet, you might want to think about the dual sport Arai Tour-X 4. That can work as a motocross helmet or – because it’s got a visor too – can work as a street helmet. It’s also Snell rated. 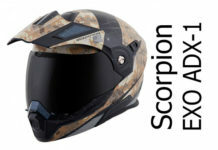 A really versatile helmet the XD4. Shoei’s version of the XD4 is the Hornet ADV. A well built helmet with an optically correct visor that owners seem to love. Previous articleGreat value full face – but not in Europe just yet. 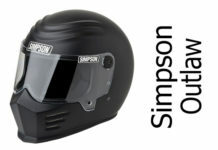 Next articleSimpson Venom: whatever next, a mean and practical streetfighter helmet? !